I’m getting very “full”, as one of my yoga students remarked last week. Meaning my belly is very…apparent. I like it. I’m also experiencing tremendous fatigue on certain days, which I hear is totally normal–the baby is gaining about 1/2 lb a week–that’s a lot of work for both of us. I’m due a month from today. Given that this week has been a particularly fatigue-y week, I am putting off writing a long post on the subject of gender neutrality, which will require me to think a lot. My brain isn’t up for it. I actually walked into a wall about 15 minutes ago. Instead, some gentle, non-intellectual material: my favorite belly moisturizers. You do not have to be pregnant to enjoy these. In fact, I wish I spent as much time loving my body up when I’m not pregs as I do during this time! I plan to continue when baby is born. I spend an inordinate amount of time on my abdominal area, but my arms, legs, tush, back–all have enjoyed the benefits of me obsessed with moisturizing at least 2x and sometimes more a day. It’s a chance to slow down, and, I’m going to say it, practice gratitude for the body you have. Oh LUXURY. 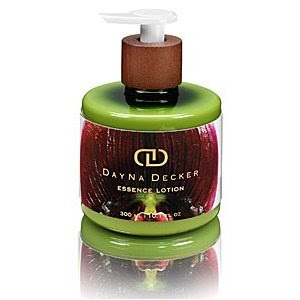 I wouldn’t even know about Dayna Decker if it weren’t for my mom. She has now given me 2 jars of it, and I parse it out soooo sparingly. Like every 4th or 5th day. Technically it’s hand lotion, but it’s so thick and luscious I find it delicious on my whole bod. The scent she’s given me is Sierra, which is floral and herbal and a little woodsy at the same time. I’m sure the other fragrances are beautiful as well. Nice when I want something a little less slippery than the oils I’m about to mention and a little less thick than the cocoa butter. 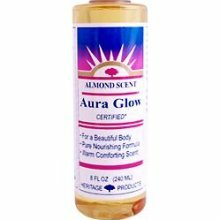 Think night out…..or important meeting……or you’re wearing something silk and don’t want to get a grease spot on it…..
I’ve used Aura Glow since college as well. I go between almond and rose scents-both are heavenly. I just learned they have grapefruit—might have to try…..It’s similar to Mother’s in that the base is almond oil, but rather than the coconut oil I believe it’s peanut and olive oil they put in there. No animal testing, very pure, and about half the price of Mother’s. I get mine at Whole Foods; I’ve bought it at other health food stores and homeopathic pharmacies in the past–it’s pretty easy to get a hold of. I know a lot of massage therapists who use this. My skin gets SO SOFT when I go back to using it after taking a break for a while. And it’s really gentle–never irritated my skin or caused backne (as some oily products can do, let’s admit it). I’m a devotee. 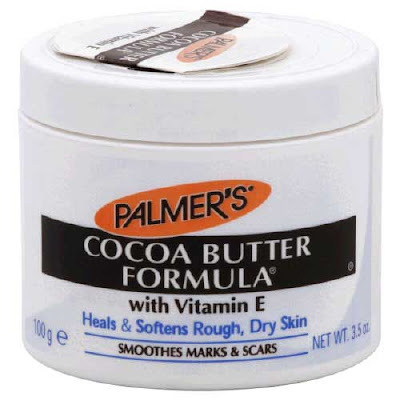 Sometimes I’ll alternate Mother’s with this and cocoa butter–the trio is a nice one. I can’t not post this. This is my I’m-stranded-on-a-desert-island-and-I-get-one-thing-to-make-me-feel-sumptuous-until-the-cannibals-come-get-me product. I haven’t used it much in pregnancy, but that’s only because I have the bubble bath and I’m being abstemious. Join me and use that word in a sentence today. Melanie, great picks. I love Aura Glow. I've used it since I worked in a health food store in college. They have a Jasmine scent too, if you want to smell all spring/summer like. 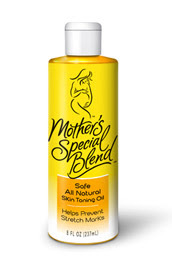 I wanted to tell you that you can order the Mother's Special Blend ($11.56) and the Aura Glow ($5.62) from Vitacost. They usually have free shipping and it's a lot cheaper. I only mention it because it seems like you might be going through a lot of it. I did not know that! brilliant. will order a bunch:) and Jasmine…..sounds beautiful. might be in my cart too…..
@Holly: my pleasure!! ESPECIALLY seeing that you're getting married soon. excuse to splurge on everything. congratulations! !